This is such an amazing thing you’re doing! I love hearing about all of the opportunities to give back. It’s a great way to connect! I was fortunate that there was a military mom in my group who helped us out. She was so grateful to give back since her son came home safe. She was a great help! You always have such worthy causes on here, but I think this is the best so far. War is never easy, for the soldier or the family left behind, and it’s felt all that more on holidays. You’re right! It isn’t just the soldiers making a sacrifice. It’s the families too! They have to miss a holiday, or months of their lives without their loved ones! I love this organization. I’ve always wanted to do this, thanks for posting… going to do it over the weekend! Wow! This is a really great option for gift giving. I know so many would be so happy to receive these. I’m so glad a program like this exists. Most of my family is in the airforce. It can be difficult to be away from those you love during the holidays. I am a pacifist but I respect everything that the veterans have done for us and how much of a sacrifice they make. It is always important to remain grateful. Wow I can’t imagine having my brother gone for Christmas, nevertheless doing something so amazing and serving to our country. That is such an incredible way to give back. Glad he is home safely now! These are great ideas and a great reminder to thank those who keep us safe. Thank you! Thanks for sharing about this! We absolutely need to be supporting our military in whatever ways we can! I love this series that you are running! So many great ideas. 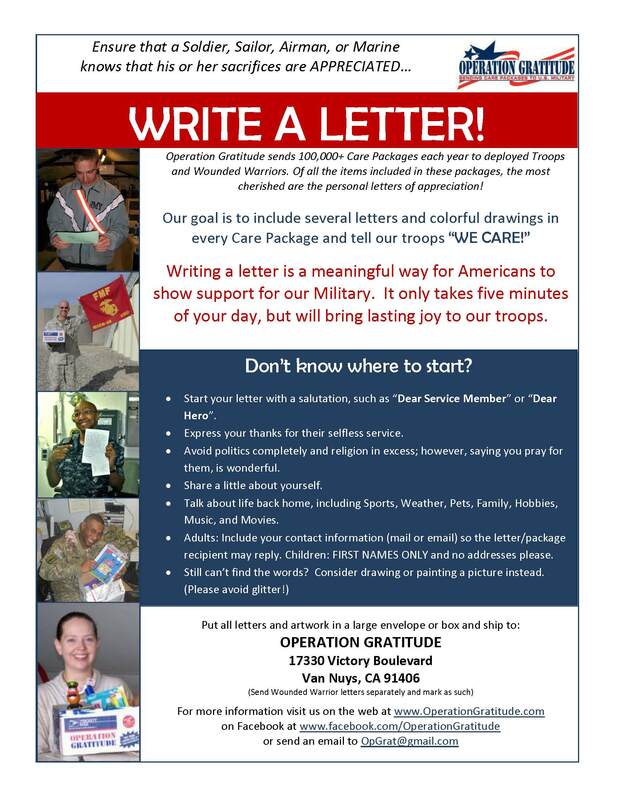 I love the work of Operation Gratitude. It is the organization that I sent our excess HAlloween candy to. A care kit for the troops sounds like a wonderful idea. They so need this. I love these care kits! This is such a great idea to do with your kids. I bet my kids would love it! I love this series so much. You have such great ideas for service projects. My brother was in the Air Force and we used to send packages to him and his friends all the time. Such an amazing thing that you are doing and what a great organization. It is so important to give back to those that are putting their lives in danger for our freedom. Thank your brother in law for his service on behalf of myself and my family. Merry Christmas to you and your family! Way to go! Our troops need all the support we can give.